* Las Vegas night tour – Adult $35, Child (2-12) $25. Experience movie magic at its best. The studio theme park has attractions including Shrek and Jurassic Park, with various shows and performances throughout the day. Get an inside look at the sets and uncover the behind-the-scenes secrets of legendary films in the studio tour. After the Universal Studio tours, we will drive through California’s central valley and into Mojave Desert. Over night stay in Barstow. – You can self dismiss at Los Angeles today, hotel check out time is 11 am. 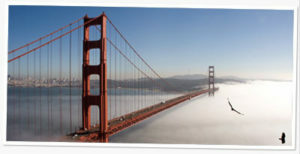 Heading north to Napa Valley, America’s premier wine producing region, you’ll find the unique beauty in the verdant rolling hills, colorful flora and vast stretches of vineyards. The valley, approximately 30 miles in length and 1 mile in width, is home to more than two hundreds wineries. You’ll visit Napa Valley’s famous wineries and charming towns. Wine-making is an art while tasting is the interpretation of that art. You will learn about the art of wine making and how to taste wine from our professional tour guide. Different types of red, white and sparkling wines are available for tasting (at your own expense). Fully enjoy a distinct wine tasting experience and indulge yourself with a walk down the street lined with quaint boutiques, gourmet restaurants and beautiful art galleries. On the way back, a stop at the Napa Factory Outlets offers an opportunity to find bargains for your whole family with name brand stores.